Following the beta test that began in June, Apple’s App Store will display search ads from Wednesday, October 5. The ads will appear at the top of the results page when an iOS user enters a search term. The motive seems to be to boost search discovery – according to Apple, 65% of all app downloads come from the search results. Interestingly enough, Google has had search ads in the Play store for over a year. The ads will have a light blue background, and the content will be auto-created using the metadata and imagery from the app’s store listing. So a well-crafted app title and description with keyword-rich metadata is a must. 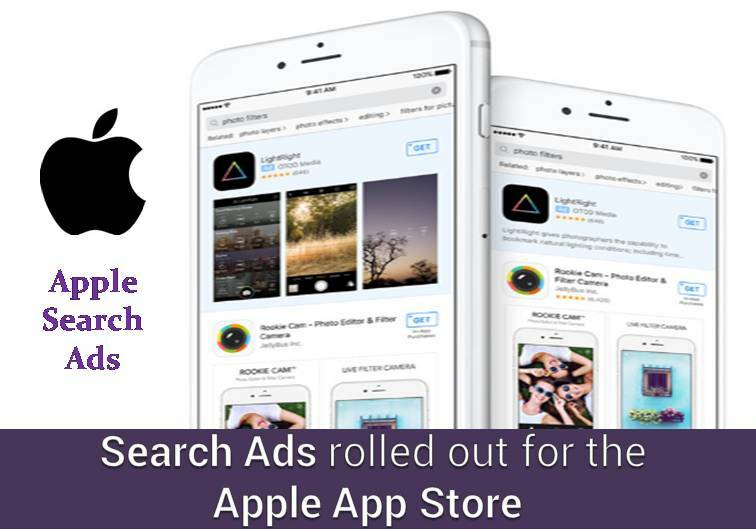 To prevent apps with a larger marketing budget from hogging the search ads, Apple has included an algorithm that only displays ads which are relevant to the user’s keyword. It looks like there will be only one ad per search, so users who are worried about ad clutter need not fear. As an incentive, Apple is offering developers $100 credit for their first campaign. Pricing is a cost per tap model, which means you only pay if the user taps on your ad. Given that roughly 50% of smartphone owners don’t download any new apps in a given month, we’ll have to see how this one goes. Our team of SEO experts will help you push your business to the top of the search results. With over 16 years of experience in digital technologies and markets, we excel at driving engagement by optimizing your business’s online reachability and rankings. Get in touch with us at GMI. AdWords Enhanced Campaigns – Are you ready?